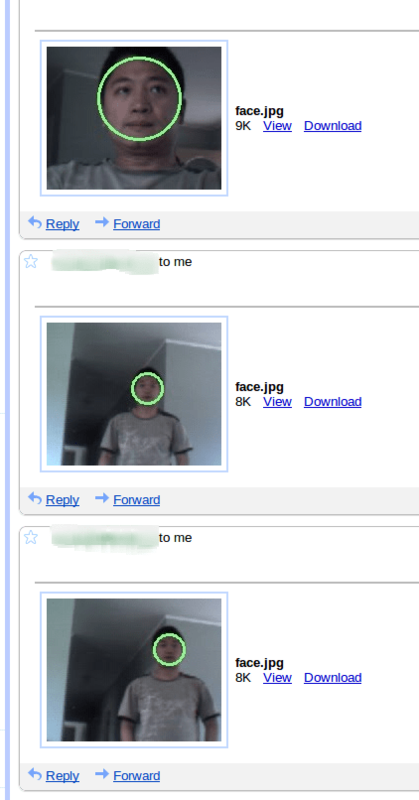 I borrowed the python code from this blog and injected a code trigger to send an email with the image as attachment whenever a face is detected. Seems to work pretty well. Hopefully I can pwn the thieves by calling the police while they are treasure hunting in my house.